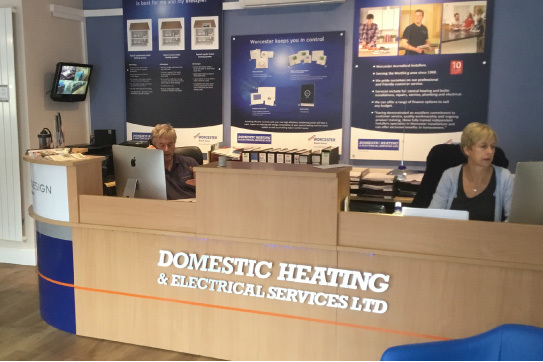 Domestic Heating & Electrical Services Ltd is a privately owned company and was established in 1968 by Mr Derek Henry Salisbury. Hence the name of the company now, Domestic Heating & Electrical Services (when shortened the initials are DHS). Mitchell Warren joined the company in 2004. Mitchell then took it over in 2008 and it became a limited company still keeping the loyal customer base very happy whilst expanding the range and services the company has to offer. 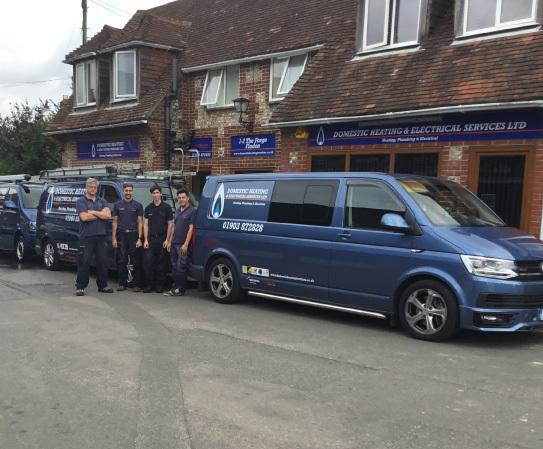 As a result the company moved to its current location in the attractive village of Findon where we have our reception and showroom. You are welcome to come along to the showroom and look round our boiler range or peruse the gas and electric fires on display including the many different surrounds and hearths we offer. We also have a bathroom range on show and we hold a franchise with the very select London based company called BagnoDesign. We are also stockists for Tissino & Mere bathroom products. And of course you can take away one of our catalogues. We are accredited installers for Worcester Bosch, Viessmann and Alpha Boilers, and are Gas Safe Registered. We are also able to offer renewable energy solutions. Our engineers/ installers stay abreast of all new techniques, products, services & legislative requirements and receive relevant training when required. Once you are on our database we keep a record of all works carried out and annual boiler services. You can relax about remembering when the service is due because we send reminders in the post. We can take all forms of payment either by cash, cheque, BACS, credit or debit card. In order to help our customers spread the cost of investing in a new 'A' rated heating installation we are able to offer finance repayment facilities.